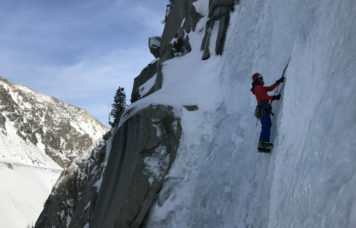 During most of the year the Sierra is blessed with excellent ice climbing possibilities. We offer training in ice climbing techniques for beginning through advanced levels. Skills taught include front point and flat foot cramponing, tool placement, reading ice conditions, placing ice screws, multiple anchors in ice, techniques for leading, and more. Scheduled dates are listed below, or contact our office for custom dates.